BIDDING ENDS: Tuesday, January 17 @ 6 P.M.
Penstan Supply of Johnstown is moving to a new location in 2017. Their new location will feature a state of the art showroom with brand new displays to better serve their customers. 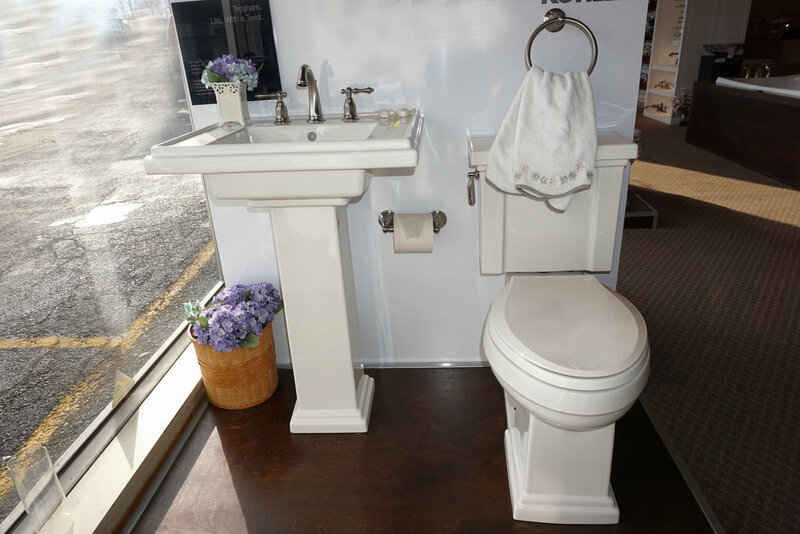 With that being said, all the kitchen, bath, faucet, and fixture displays located in their current showroom will be sold in this online only auction ending on January 17. The auction includes lots of kitchen, bathroom, fixture, faucet displays, and more. Dynamic looks forward to helping Penstan Supply in Johnstown during this transition. Online bidding is now open and ends January 17! Penstan Supply will be open for business in their new location, 501 Broad Street Johnstown, PA, as of February 1st. 1. Click on the box above that says "CLICK HERE TO VIEW LOTS & BID" You will then be redirected to a new page where you can view the lots and register to bid. 2. In order to bid, you must first register with HiBid. Click at the top of the page where it says, "Login/New Bidder". You will then be prompted to provide your personal information and a credit card. 3. Once you are registered to bid, place your bids by clicking the button that says, 'Bid' and the dollar amount. You also have the ability to place a max bid. The bidding system will automatically bid for you up and to your max bid amount, but not over. You are always able to raise your bid at any time. 4. When the lots begin to end, be sure to enter into the live catalog to make bidding easier. A warning button will flash at the top prior to the auction ending giving access to the live catalog. 5. The lot ending times are staggered. If a new bid is placed within the last few minutes, the end time will automatically extend 3 minutes, allowing all bidders the chance to bid again.